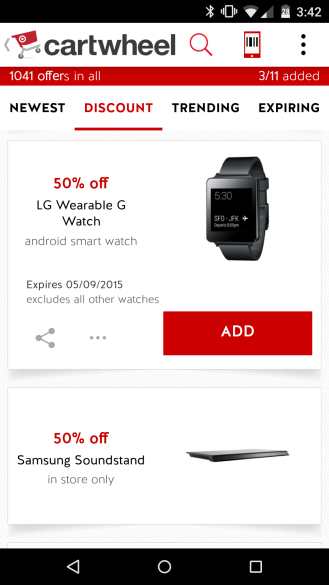 Target's Cartwheel app serves as a way for the company to offer discounts and get you into its stores. 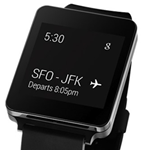 Today you can get the LG G Watch for 50% off. Since the retailer is selling the smartwatch for $160, that brings the price down to $80. This offer is only valid in stores, as Target isn't even selling the G Watch online. You must sign up to redeem the coupon and then scan the Cartwheel barcode at the register. The offer expires May 9th, but it's only valid while supplies last. Since there's a good chance many of you have never heard of Target's Cartwheel app, I'll include a link below. No one should care if you're signing up the same day you wander into the store.